Don’t forget to come to the exciting FRSES events this week at CSU! Check out this fun blog cataloging the diversity of scientists. 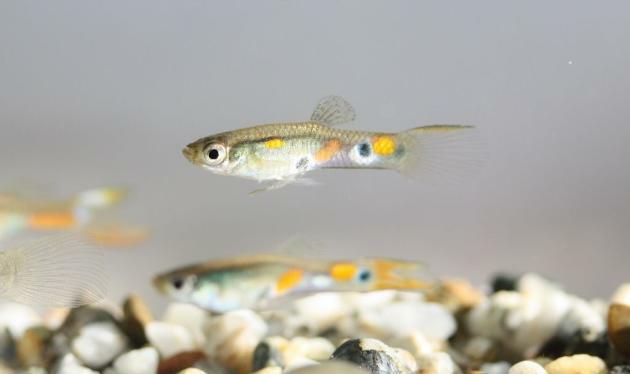 Male guppies avoid competition in the looks department. Check out this article highlighting Gasparini’s work–notice that it is in the Lifestyles/Relationships section of the paper. Sara Grossett, Me, Luke Caldwell (former MS student), Michelle Desrosiers (current MS studet), Dr. Lisa Angeloni, Delaney Laughlin, and Erin Terrio show off the new lab sweatbands.